In 2017, property taxes across the country rose an average of 6%; the average homeowner paid $3,399 in property taxes, according to ATTOM Data Solutions. This rise is a reflection of the higher housing values in the wake of the 2009 recession. In addition, recent congressional tax cuts could cause an uptick in home property taxes in some parts of the country over the next few years. Here’s a helpful overview of how upcoming changes to your property taxes can impact your monthly mortgage payment, and how to prepare for those changes. Local property taxes are what your city or county charges you based on the value of your land and house. These taxes fund important community expenses — including public education, road construction, police services and fire departments. The tax is usually a percentage of your land and home’s assessed value. Property values can go up and down over time, so property taxes fluctuate, too. Rising property taxes are often a reflection of a healthy real estate market. And although you may not want to pay more, the reason your property taxes increase can actually be positive. For example, your neighborhood could have become a more desirable place to live. When home values in an area go up, your home’s assessed value goes up — and in turn, property taxes increase. Or maybe you increased the overall value of your home with a major renovation. 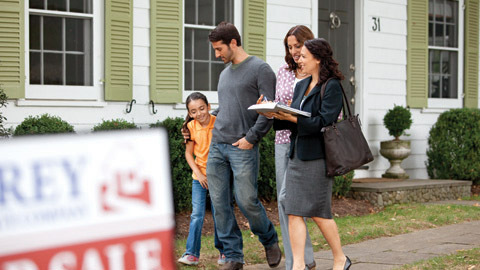 Your city or county now determines your house would bring a higher price if you sold it. That’s a good thing for you, but it also means your property taxes could go up. Or if your home is new construction or newly built, your property taxes may have increased; both types of homes can and often do see an increase in home value after the first year, when it’s re-assessed. In other cases, your state or local legislature could have voted on a property tax increase to raise money for school needs or other projects that will improve your community. You can pay taxes with or without an escrow account. Find out if you have a Wells Fargo escrow account by signing on to your account, or contact a servicing specialist at 1-866-234-8271. If you do not have an escrow account, you’ll owe your property tax directly to the county each year. If you want to set an escrow account up, the process is easy — just call customer service and request it. If you have an escrow account, to save you time and hassle, your lender uses funds in your account to pay things like your property taxes, homeowners insurance, and flood insurance (if you pay it). So, if your property taxes go up, your escrow payment goes up, too. 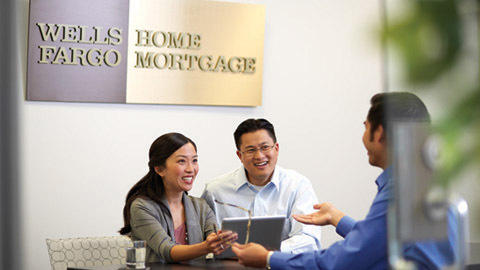 The Wells Fargo Home Mortgage team reviews your escrow account once a year, then lets you know what your projected monthly charges are for the next 12 months. If your bills are projected to change — for example, because of a property tax increase — then your monthly escrow deposit and minimum balance amount will adjust accordingly. If you have questions about your anticipated property tax changes, a Wells Fargo servicing specialist is available to you at 1-866-234-8271. View your recent account payments by logging into account management.